Chain Reaction Cycles is to continue its vital support of Northern Ireland’s official mountain bike trails. The sponsorship agreement with MountainBikeNI will see the online bike retailer support the promotion of Northern Ireland’s National Trail Centres including Rostrevor and Castlewellan Mountain Bike Trails in the Mourne Mountains and Davagh Forest in Mid Ulster. Each year, the trio of trails provides thousands of local mountain bikers with the only dedicated terrain required to safely hone their skills. Chain Reaction Cycles sponsorship and promotion of these trails has contributed to the development of unique local talents, including Omagh native Kelan Grant, who competes in the EWS elite World Championship as part of the Chain Reaction Cycles/Mavic team. Renewing its sponsorship agreement with MountainBikeNI, the online bike retailer is thrilled to continue its important programme of support that began back in 2013. Aaron Kearney of Chain Reaction Cycles said, “We are thrilled to be continuing our close relationship with MountainBikeNI and supporting these vital local trails. We are an international business, but it is important that we remember our local roots, with the company starting out as a family-run business in Ballyclare, Northern Ireland just 30 years ago. In recent years, we have witnessed a huge growth in interest in mountain biking across Northern Ireland and visitor numbers to the trails continue to reflect that. Mountain biking in Northern Ireland has come a long way, considering that in early 2013 there was not a single official mountain bike trail centre. 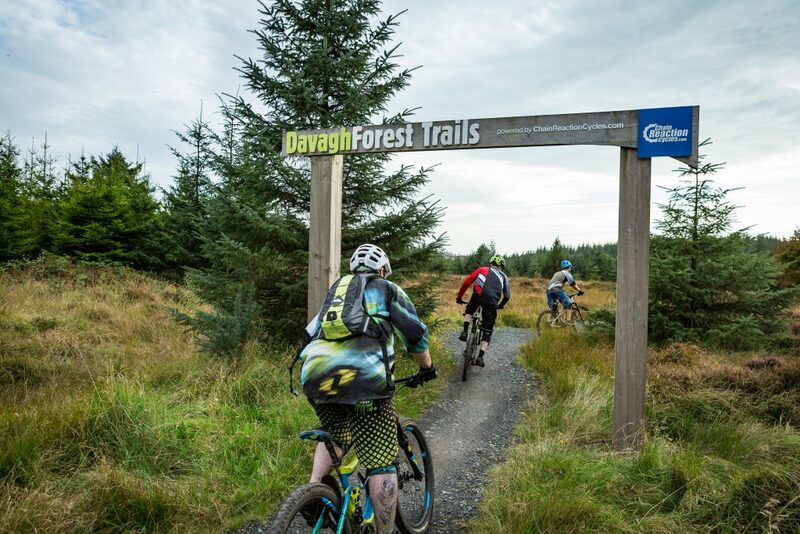 MountainBikeNI is led by Outdoor Recreation Northern Ireland and supported by Mid Ulster District Council, Newry, Mourne and Down District Council and Belfast City Council.